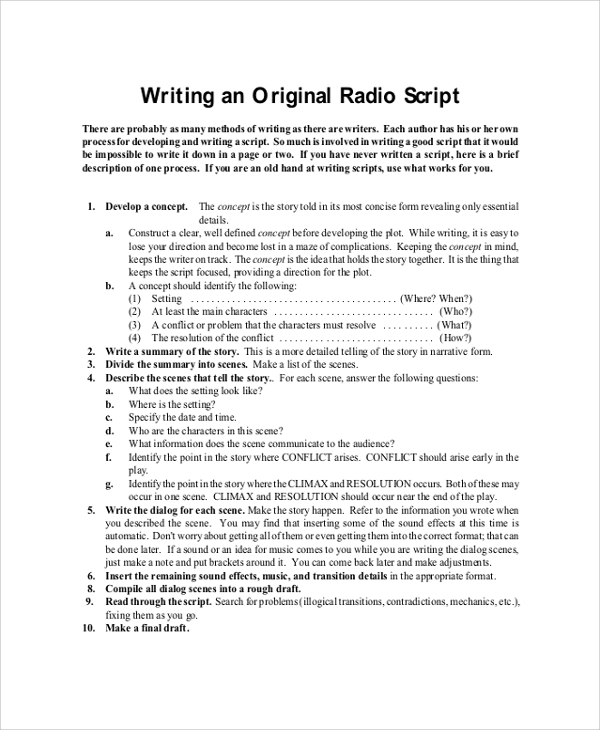 This is a manual to guide someone to write a radio script to act out a drama or a story. 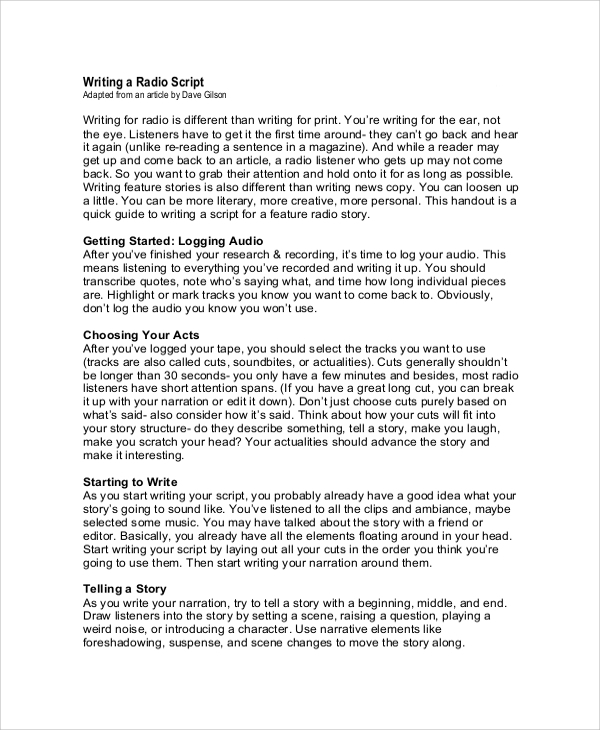 It introduces one to the styles and parameters of writing a radio script. It states how to get started, how to choose the acts to write on, how to tell a story and mix things up effortlessly. It provides several vital tips and tricks such as how to be concise, thoughtful, visually appealing, and how to conclude to leave a lasting long impression. 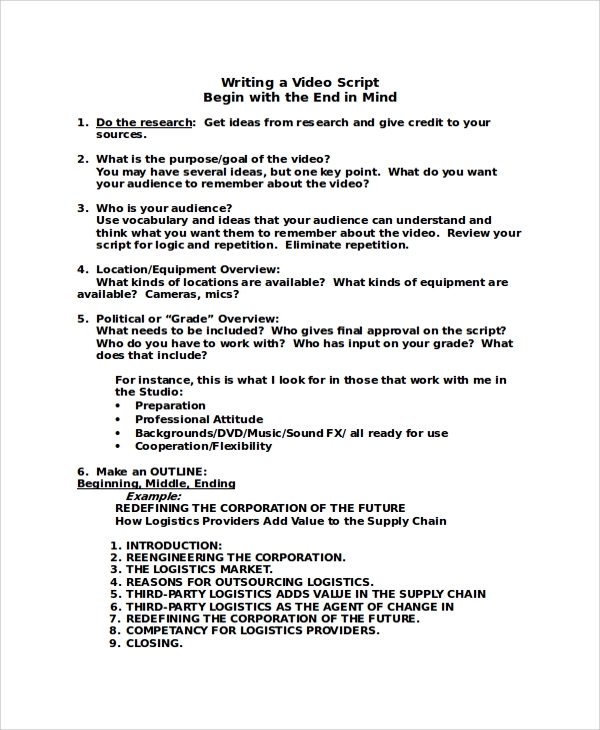 A class-constructed script is the one where you need to write a creative script based on certain guidelines and goal statement. It is one of the most popular forms of script writing these days. 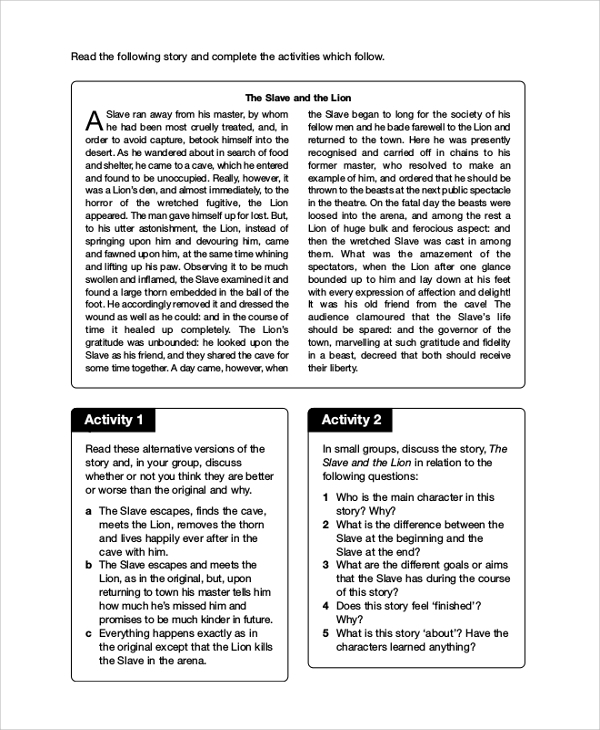 The manual provided here teaches you how to handle such situations to define a setting and create the characters as per the need. It explains how to create conflicts, the style to be followed, how to create a creative plot, and so on. It comes with several examples and you can rate yourself based on the criteria they have specified to improve yourself. This is a complete manual on how to write a professional film script like the way it is meant to be. It explains the basic things one must know and keep in mind while writing a film script. It concentrates more on writing documentaries. 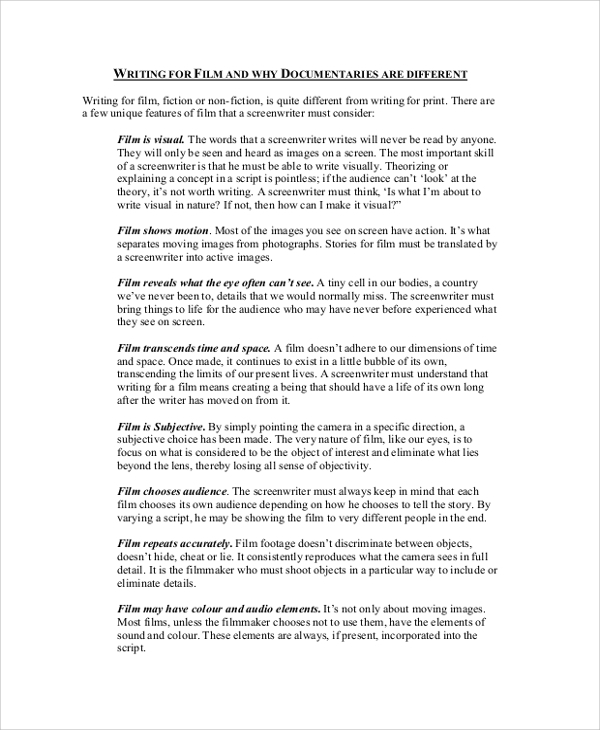 It introduces one to the unique documentary writing styles, how to research in-depth and the questions that one needs to answer before settling down to write. 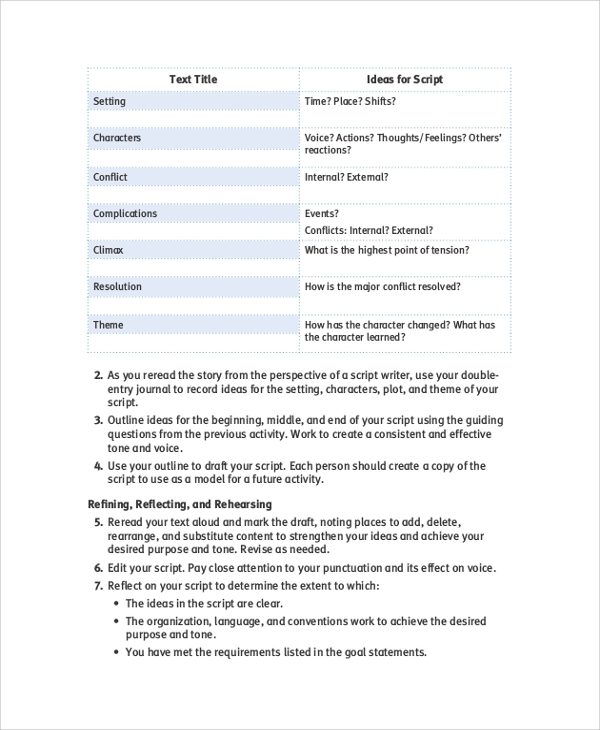 It states the essential script writing element, how to put together all the parts to create a great script and provides multiple formats for writing an awesome script. The targeted audiences for such script writing samples are the amateur script writers and all those people who aspire to be a great script writer one day. They are also useful for producers and directors as with the detailed guidelines, they can turn a simple script into an extraordinary script. They can also set a few goals and guidelines to ask a script writer to prepare a script based on those. 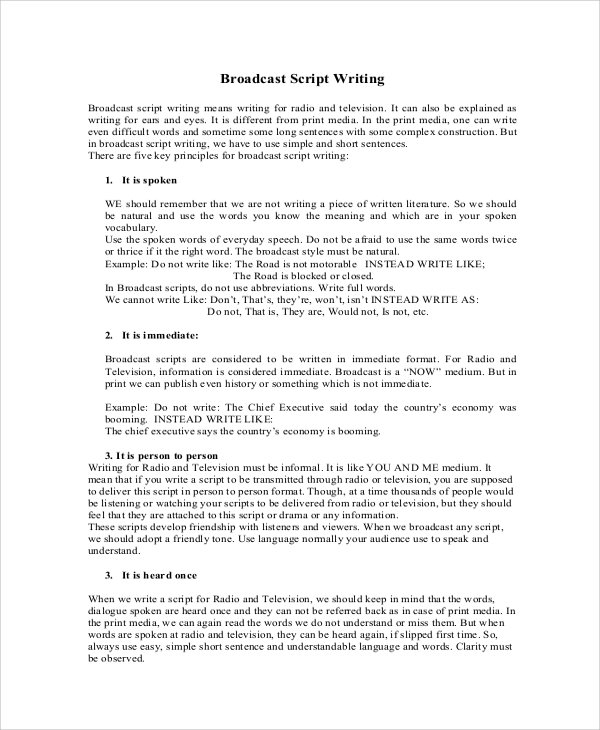 With the help of the above-listed samples, one can get an idea on how to write a script to act out a scene on radio, how to write a movie script that will create enough excitement, how to write screenplays that will turn heads and even write anything based on given guidelines and goals to be covered. These samples contain multiple examples to illustrate how exactly real life scripts differ from simple theoretic ones. 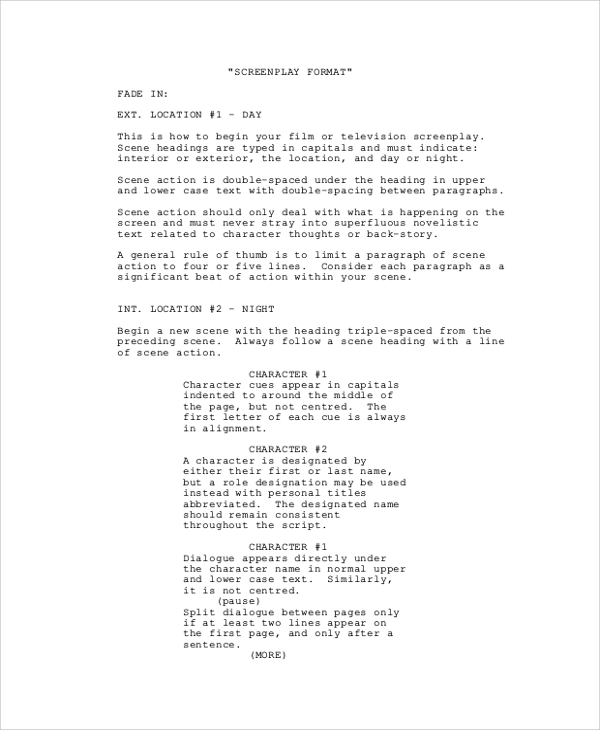 They contain all the required guidelines for preparing the best script starting from introduction till conclusion.